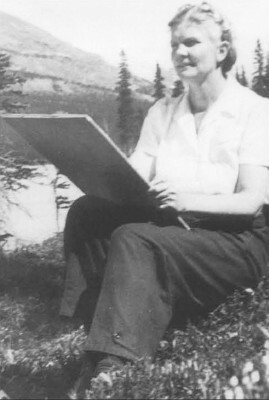 Annora Brown at work in her beloved southern Alberta. 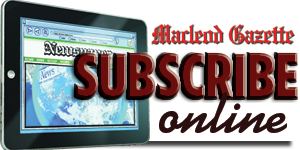 A worship service Sunday, Aug. 16 at Waterton will honour the memory of a Fort Macleod artist. Rev. Joyce Sasse will lead the service titled “Spiritual Reflections on Landscape (with pioneer artist Annora Brown) at 10:30 a.m. at Waterton United Church. Almost 60 years ago, when Rev. Sasse worked as summer staff in Waterton, Annora Brown was nearing retirement. But the depth and spirit of her wild flower paintings, along with her passion for this Southwest corner of Alberta, were etched in Rev. Sasse’s memory. Over the years Rev. Sasse has researched and brought to life the biographical details of Brown — the pioneer artist, writer, botanist and ecologist whose home was Fort Macleod from 1900 -’67). In the context of worship at the Aug. 16 service, Rev. Sasse will invite those in attendance to revisit some of Annora Brown’s favourite haunts. “We want to try to understand her insistence that this ‘magnificent, unique, wild landscape” must be treasured and preserved,” Rev. Sasse said. Books by Annora Brown are Old Man’s Garden and Sketches From Life. Along with several oil paintings, the Glenbow Museum has a commissioned collection of Brown’s water colour paintings in its archives. Annora Brown’s supporters are looking for a way to get her 300 paintings in the Glenbow Museum digitized so they can be available for viewing.